A recent focus of our lab has been making use of Tangible Displays and Body Object Space to develop new assistive technologies. As a test case, we prototyped the Mario side-scrolling game for visually impaired users, using body movement analogies to control Mario in the game. Mario and 2D side scrollers present a particularly interesting case, as they keep the main character location in the center of the display and move the world around the character. 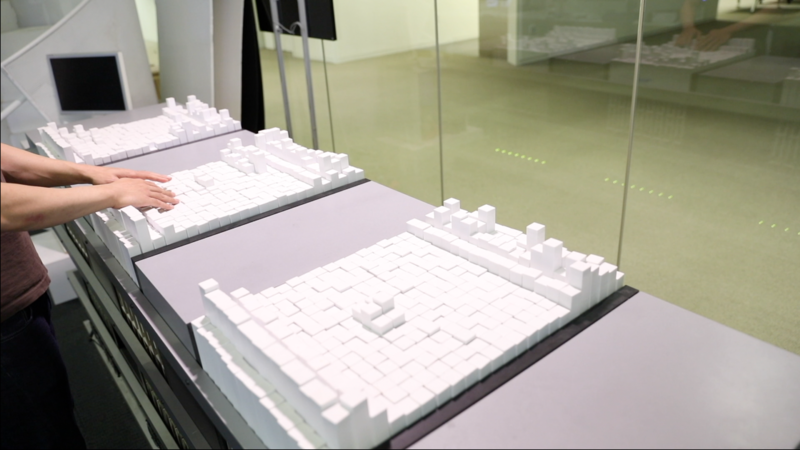 The shape display itself provides spatial audio of enemy positions. We make use of the AUFLIP sensor platform to pick up body movements—walking and jumping, causing Mario to do the same in-game. This enables users to keep their hands engaged to understand the game landscape, while using their body to control Mario at the same time. 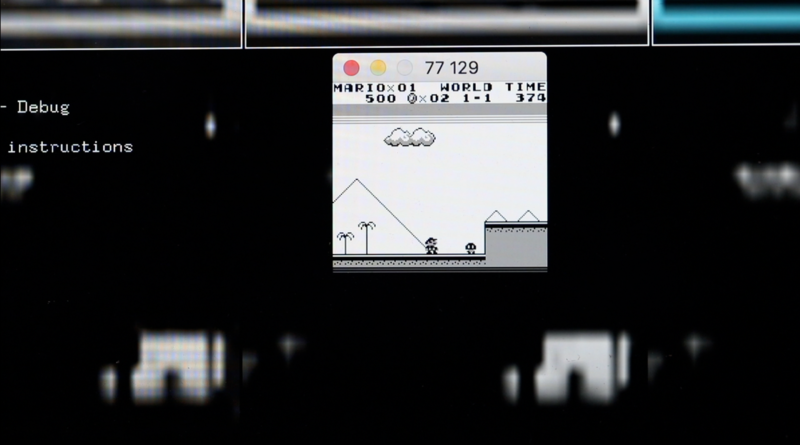 Super Mario Land is streamed from an emulator and transformed into a pin height map for the tactile TRANSFORM shape display. The transformed emulator image on the shape display. Mario stays centered on the display, enabling users to maintain a reference point from which to explore the game world. To play the game, users wear an ankle sensor that captures walking and jumping in place, actions which control the main player in the game world, and leaving the hands free.